It’s not every day that your idle lunch break features fresh and authentic Chinese dumplings and a therapeutic massage between lectures. 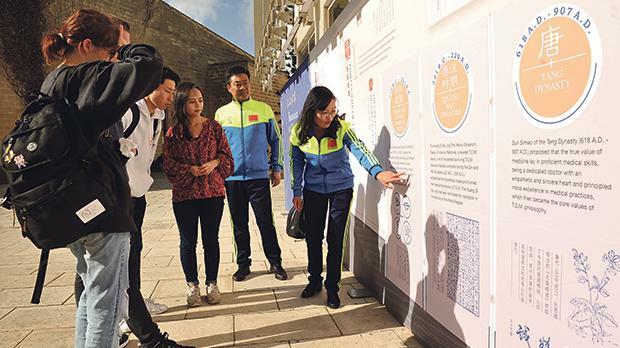 But for two days – on December 10 and 11 – the Mediterranean Regional Centre for Traditional Chinese Medicine (MRCTCM) mounted a display set in different phases to engage with students and staff at the University of Malta. Set up at the University Quad, the exhibition was aptly titled Benevolence and healing art and delved deeply into the ideas of preventive and therapeutic care of body, mind and soul. It also aimed at increasing the understanding of Chinese history, the techniques adopted in treatment and the artistic relevance that surrounds the practices. 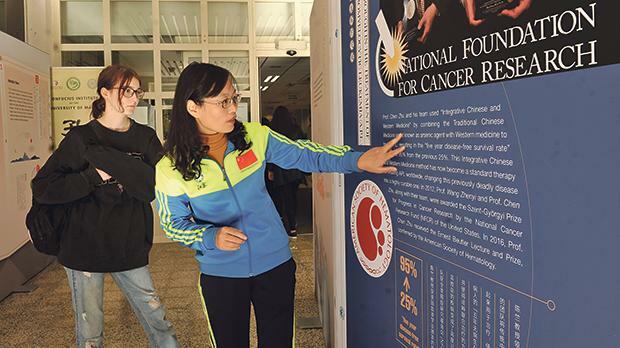 The entrance to the University Library was covered with informative posters clearly explaining how traditional Chinese medicine (TCM) works, its benefits and the techniques used in treatment. The surrounding area was set up with long tables where traditional Chinese herbs, spices and other ingredients could be studied under the guidance of the TCM doctors who were present. Other displays included freshly-prepared food by the MRCTCM chef and a Tai Chi Chuan display. As visitors savoured the free food samples, the doctors in the team explained the benefits of a healthy lifestyle and pointed out that the way we eat determined how we lived. Among the items available for tasting was a selection of Chinese street food such as traditional spring rolls, pork and fennel dumplings and prawn crackers, all prepared by the MRCTCM resident chef, Duan Jiming. MRCTCM residents forage for wild fennel in the Maltese countryside at the weekends and then thoroughly clean it and use it in their cooking. The pork dumplings feature this beneficial ingredient. Fennel is known to aid in digestion and also helps to fight diseases while building up the immune system. Li Zhengya said that the doctors, the chef and herself prepared the dumplings themselves. They prepared the dough and mixture and even shaped the small dumplings by hand. Every food item the MRCTCM doctors and members of the team eat is prepared by the chef and it always sticks to the dietary practices explored and encouraged by TCM. 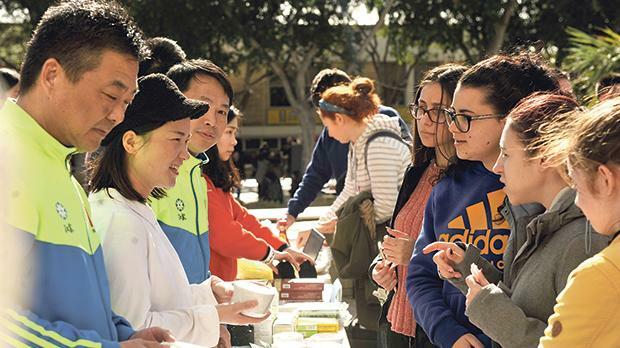 Food brings people together and so it did at the University Quad. When the audience had sampled the food, Prof. Li guided the crowd through the exhibition and explained each step, detailing the structures and highlighting the ancient philosophy. 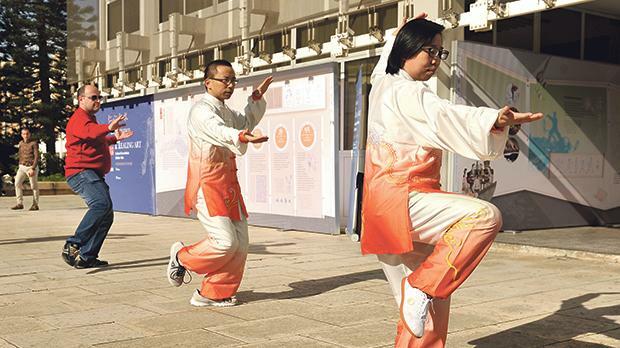 To further engage with the audience at the university, MRCTCM doctors An Jing and Qi Guanghui practised Tai Chi Chuan. The slow and precise movement of the age-old physical practice is thought to act as a preventive technique to rid the body of aches and other ailments. “Tai Chi Chuan is part of Chinese culture. 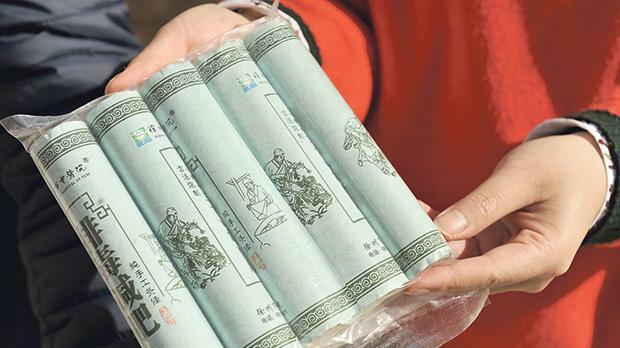 This keeps us healthy and acts as a form of therapy, like meditation,” Shi Jiangfeng, one of the doctors, said as he watched his team work so harmoniously with Malta’s youth. 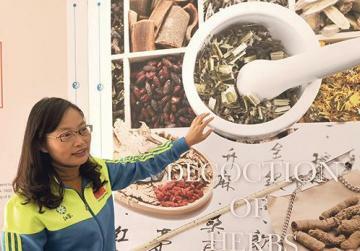 University students learning about traditional Chinese herbs, spices and other ingredients. Students soon began to get more involved in the display. They asked questions and wanted to know more about the traditional methods that date back to the Spring, Autumn and the Warring States periods. Some students also opted to try out the free treatment on offer by the resident MRCTCM doctors. “I’ve heard a lot about Chinese medicine, though I’ve never used the treatments. I suffer from migraines and neck aches and, having seen this display, I think I will try out the treatments,” Jackie Theuma, secretary of the Confucius Institute, said. Alan Saliba Gauci, one of the visitors, recalled he had started practising Tai Chi Chuan in 2002. “I learned the techniques under the instruction of Michael Micallef at the Malta Yang Family Tai Chi Chuan,” he said. “One cannot be fast until one learns to be slow, calm and patient,” he added. The exhibition Benevolence and healing art will now move to the Chinese Garden of Serenity, Sta Luċija, where it will remain open until end February.